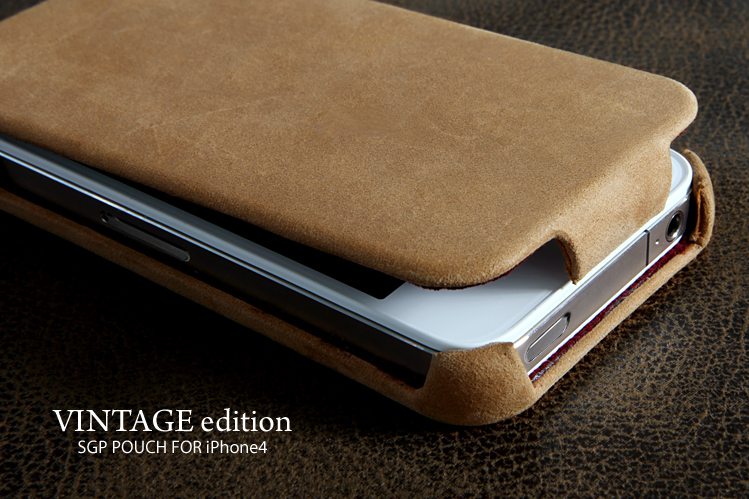 This just might be the sexiest iPhone 4 leather case yet. SGP have updated their popular slim Leather Pouch Vintage Edition for the iPhone 4 with a few little changes here and there. The Leather Pouch is fully hand made with full grain vintage leather and does not have any magnets or stitching for maximum sleekness and simplicity. The insides are lined with microfiber to protect against scratches. The flip styled case is available with or without the SGP logo on the front and it will run you $45.99. Available right now at SGP.